Are you waiting for Supreme Court Recruitment 2019? If yes, then here we are providing you details relevant to Law Clerk Jobs. 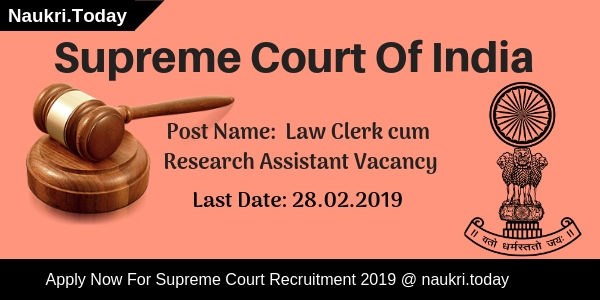 Supreme Court Of India has released notification for Law Clerk Research Assistant Posts. Interested applicants can apply through online mode. Online registrations for Supreme Court Clerk Vacancy are going to start from 01.02.2019. Participants may submit application forms before or on 28.02.2019. Law Graduate candidate can apply online for SCI Jobs 2019. 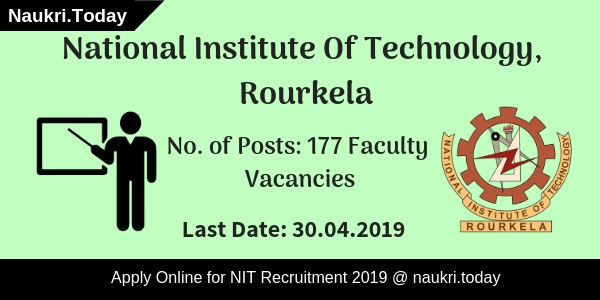 For more details regarding SCI Clerk Recruitment 2019, Aspirant must read the given article carefully. Fresh Update as on 28.02.2019: Applicants who have not applied for Supreme Court Recruitment yet. Then they should not delay any more. Today is the last date to apply for Law Clerk Vacancy. For more updates stay connected with us. Fresh Update as on 02.02.2019: Dear Applicants, Online Registration for Supreme Court of India has strted form today onwrads (02.02.2019). Interested candidates may apply online for Supreme Court of India Recruitment form here. Before applying aspirants should check eligibility criteria form here. Fresh Update as on 28.01.2019: Candidates who are interested in Supreme Court Recruitment can fill application forms for Law Clerk Posts. Participants should apply online before 28.02.2019. Applicants should see eligibility criteria from below section. Applicants can apply online from the direct link given below. Here participants can check more details regarding SCI Vacancy 2019. Department has given some eligibility parameters for Supreme Court Vacancy 2019. Applicants can collect all information from the table as given below. For more details regarding eligibility criteria candidate must check Supreme Court Recruitment Notification from the link given below. Education Qualification The degree of Graduation in Law, Basic knowledge of computer, Knowledge related to various search engines etc. Applicants should click on the place where photograph should be uploaded. Then choose the image to upload in SCI Application Form. Candidate must make sure that image & signature should be scanned to their devices. Photograph & signature must be having 5 cm height & 3.8 cm width (50 kb) in jpg format. If the image is larger than prescribed size then you will face problem in uploading an image for Supreme Court Clerk Vacancy 2019. Candidate must pay payment through online mode for Supreme Court Clerk Recruitment. Application fee will not be accepted in any other form. Postal applications will not be entertained by the department. Payment of application fee should be paid through payment gateway provided by UCO Bank. Firstly, applicants should log on to the official website i.e. supremecourtofindia.nic.in. Then go to homepage & search for Supreme Court Jobs Notification 2019. Fill all the details required in Supreme court Clerk Vacancy Application form. Recheck all information given by you in Supreme Court Recruitment form. Conclusion: Supreme Court Of India has made announcement for Supreme Court Recruitment 2019. Here vacancies are available for Law Clerk Research Assistant posts. Eligible & interested candidates may apply for SCI Vacancy on or before 28.02.2019. Supreme Court of India has announce 78 Posts for Junior Court Attendant and Chamber Attendant. Participants who are waiting for Supreme Court Recruitment 2018 their application form will be available here. Interested applicants can apply online for Supreme Court JCA Jobs from 21.03.2018. You can apply online before on 15.04.2018. Candidates must check the required details before applying for Supreme Court Junior Court Attendant Recruitment. SCI Recruitment For 78 Junior Court Attendant & Chamber Attendant Posts. Applicants can fill Supreme Court Jobs online form either here or official site. Furthermore information about SCI JCA Recruitment candidates must read the full article. Applicants also can check Supreme Court Vacancy Notification, which is also mention below. Candidates who are interested for Supreme Court Junior Court Attendant Recruitment & Supreme Court Chamber Attendant Vacancy is their online applications form will be available. Participants can submit the application fee before the last date. Applicants can check the SCI Jobs notification given link below. Participants if you are going to fill online application form for SCI Jr. Court Attendant Recruitment & Supreme Court Chamber Attendant Jobs then you check require Education Qualification and Age Criteria. Furthermore queries about Supreme Court Recruitment 2018, applicants visit the official website and check the SCI Notification. Applicants who are applying for SCI Vacancies they should check minimum educational qualification. Candidates have passed 10th standard for any recognized Board. Applicants have knowledge and experience of driving motor vehicle. Candidates also have a commercial driving license.Cooking/electrician/carpentry for the Supreme Court Junior Court Attendant Jobs. And Participants who appear in Supreme Court Chamber Attendant Recruitment they have experience of housekeeping work, watch & ward, Security and caretaking work. Furthermore details check Supreme Court Recruitment Notification, which is available in this article. Aspirants who are participate in Supreme Court Jobs there age criteria will be here. Candidates should have not be below 18 years and above 27 years of age as on 01.03.2018. Applicants who belongs to any category there age relaxation process as per government rules basis. Participants who have appeared in Supreme Court Junior Court Attendant Jobs & Supreme Court Chamber Attendant Vacancy is there selection will be Written Test & Experience basis. Candidates selection will be written test marks basis and they have experienced or qualified for this vacancy. Many more information applicants check Supreme Court Notification 2018. Participants who have participated in Supreme Court Junior Court Attendant Vacancy & Supreme Court Chamber Attendant Recruitment. There examination centers will be allocated for different cities. Aspirants get more information about Supreme Court Jobs they should check the notification given link below. Applicants who appear in Supreme Court Junior Court Attendant Vacancy, after examination they will be selected. Selected participants for SCI Jobs will get paid as Rs. 21700/- after joining Supreme Court of India will paid gross salary including HRA Rs. 33315/- p.m. Applicants who are interested for Junior Court Attendant Job & Chamber Attendant Recruitment they can fill online application form. Candidates must check the easy steps which is helpful for filling the Supreme Court Vacancy 2018 online form. Participants have any queries they will check the notification given link below. Now click on Supreme Court Recruitment 2018 notification. Read all the information carefully before filling the form. Then click on Supreme Court JCA Jobs Apply online link. Fill all required information in application form. Now Participants check the all details carefully they are correct or not . Then confirmation deposit application fees. Take a print out or save it for future use. SCI, New Delhi has recently published a Supreme Court Recruitment 2017 to hire 57 Junior Court Assistant. This is great news for the candidates who are looking for jobs in Supreme Court of India. Bachelor’s Degree holder candidate can apply for SCI – 57 Junior Court Assistant Jobs. Supreme Court of India proposes to receive the application from applicants in Online Mode. Interested applicants are advised to apply for Supreme Court of India vacancy 2017 on or before the application last date 10.03.2017. About Supreme Court of India: Supreme Court of India came into existence on 26 January 1950 & is located on Tilak Marg-New Delhi. Supreme Court of India Recruitment 2017, 57 Jr. Court & Law Clerk Research Asst Posts. The starting date for online registration of application is 11-2-2017 at 00.00 hours and last date thereof is 10-3-2017 at 24.00 hours. For more information related Supreme Court of India jobs 2017 details like selection procedure, age limit, how to apply details are given below. Educational Qualification For Junior Court Assistant Vacancy : Applicants should have done Bachelor’s degree of a recognised University. Minimum speed of 35 w.p.m. in English Typing on Computer. Interested candidate should have also Knowledge of computer operation. Age Limit For Supreme Court JCA Vacancy : Applicants Maximum Age limit should be 27 years and minimum age limit should be 18 years as on 01.12.2016. Relaxation in age is applicable up to 05 years for SC/ST/BC Category & 10 years for PWD Category candidates for SCI – 57 Junior Court Assistant Vacancy – Last Date 10 March. Application Fee For SCI Junior Court Assistant Jobs : Candidates will be required to pay non-refundable Application/Test Fee of Rs. 300/- for General/OBC candidates and Rs. 150/- for SC/ST/Ex-Servicemen/PH candidates plus bank charges through online mode only. Fee shall not be accepted in any other form. No postal application shall be accepted. The fee shall be paid online through payment gateway provided by UCO Bank. 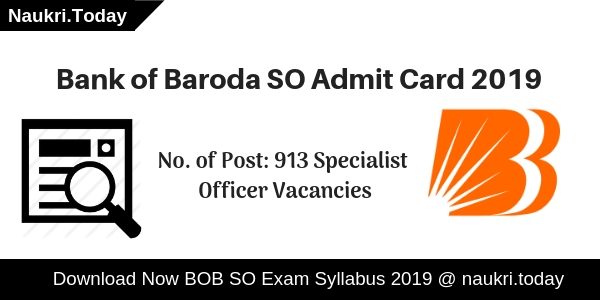 Pay Scale SCI – 57 JCA Group B Jobs : (Group ‘B’, Non-Gazetted Post) placed in Level 6 of Pay Matrix with initial Basic Pay of Rs. 35400. The approximate Gross Salary as per existing rate of allowances including HRA comes to Rs. 43758/- p.m. (pre-revised pay scale PB-2 with Grade Pay of Rs. 4200/-). Selection Process For Supreme Court JCA Vacancy : Selection Will be Based on /either Written Test / Personnel Interview / Other Mode by the Supreme Court of India norms or decision. Those candidates who qualify in the Written Test, Objective Type Computer Knowledge Test, Typing Speed Test on Computer and Descriptive Test will be need to appear for an Interview. Candidates who wish to apply for Supreme Court of India Recruitment 2017 need to visit official website. Applicants should apply the online application form between 11th February 2017 to 10th March 2017. Fill the application form as per guidelines provided in notification, deposit the application fee. After successful submission take a print out of system generated application for further process of this SCI recruitment. Read the Instructions & Click on Online link provided. Complete the Registration if he/ she would be New user. Candidates should have valid login details & should scan and upload requisite documents. Conclusion : Supreme Court Recruitment 2017, Supreme Court of India (SCI) invites application for the the post of 57 Junior Court Assistant. Eligible & Interested Candidate can apply Supreme Court JCA Online application form before the last date 10 March 2017.